Enables the user to perform advanced Digital Signal Processing functions on an image by selecting from a variety of industrial grade default and customizable filters. In version 1.0 release, that pipeline can be used to single or batch process subsequent images and also carry out Feature Extraction and Pattern Recognition, using Machine Learning algorithms. 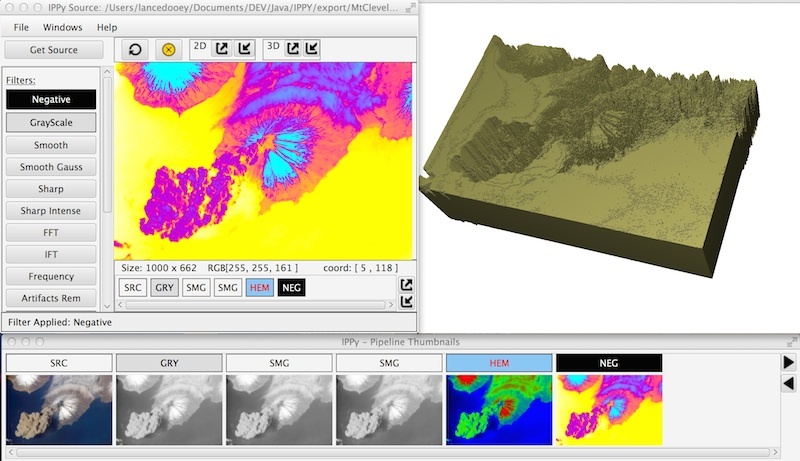 Conversion of image to a 3D pixel Elevation Map for alternate view! Place the IPPy_Beta_20170909.jar file on your Operating System Desktop or in a folder in the file system. Double click on the IPPy_Beta_20170909.jar file to run the IIPy application. Written entirely in Java 8, JavaFX 2.2, runnable with a JVM installed on user's OS. Simplification of complicated images while retaining important information. 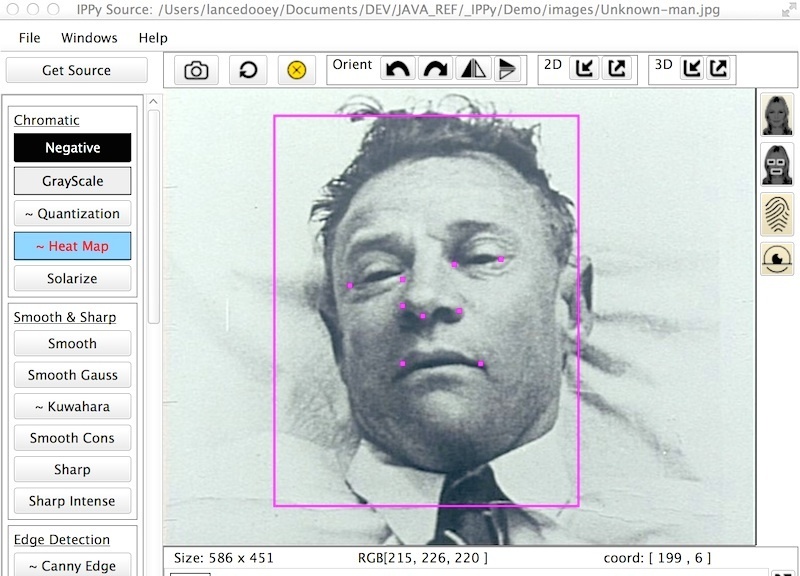 Edge detection filter used for automated analysis of inventory or other tasks. Machine Learning algorithms can now be applied with higher accuracy. Seen from the International Space Station. "NASA material is not protected by copyright unless noted".